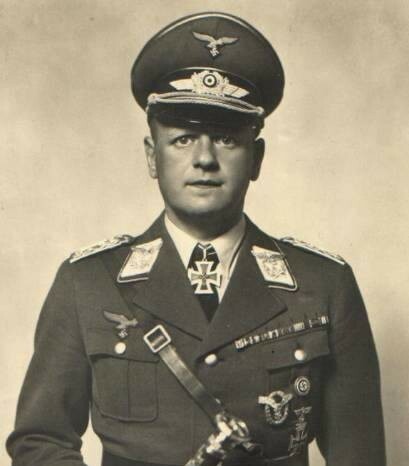 Luftwaffe Field Marshal Erhard Milch (pictured with his marshal’s baton) was probably of Jewish paternal origin. However, Hermann Goering obtained him accreditation that he was Aryan. On this day Hitler’s influential Field Marshal Erhard Milch was born. He was important for his role in the formation of the German Air Force (Luftwaffe). Moreover, Milch was one of only six people in Hitler’s Germany who had the rank of aircraft field marshal (the other five were Hermann Goering, Robert Ritter von Greim, Albert Kesselring, Wolfram von Richthofen, and Hugo Sperrle). Erhard Milch was born in the city of Wilhelmshaven, which is known as Germany’s largest naval port. Despite this coastal origin, Milch focused on aviation during most of his life. Already in World War I, he became an officer in the German Imperial Air Force despite not being a pilot, and switched to civil aviation after the war. He was the director of several airlines, and in 1926 he even became first director of the German airline “Deutsche Luft Hansa”. This company was the predecessor of today’s famous Lufthansa. After Hitler came to power, Milch was appointed as State Secretary in the Reich Aviation Ministry (Reichsluftfahrtministerium). He was directly subordinate to Hermann Goering, who was the minister of aviation. In 1940 he was promoted to the rank of Luftwaffe field marshal (Goering got an even higher rank called “Reichsmarschall”). What is very interesting about Field Marshal Milch is the fact that he was supposedly of Jewish origin. To be more exact, his father, Anton Milch, was allegedly a Jew according to the Nazi classification. This would make Milch a so-called “Mischling” (a word that denotes a “mongrel”) according to the Nuremberg laws. However, Hermann Goering obtained him accreditation that he was Aryan. Milch did not fare badly when he was tried as war criminal after the war. He was released from prison after about nine years, and spent the rest of his life free in Germany. He died in Düsseldorf at the age of 79.